Templeton is a charming and highly desirable community on California’s Central Coast with the zip code of 93465. Home to around 8,000 fortunate people, it is located halfway between Atascadero (population about 30,000) and Paso Robles (population about 30,000) in San Luis Obispo County. Real Estate prices in the Templeton area are generally 10% higher than Paso Robles. This premium has a lot to do with the culture, beautiful setting and family-friendly community. In addition to supporting several Gold Ribbon schools, Templeton has fantastic restaurants, top scoring wineries, a world-class equestrian facility, and a state-of-the-art hospital. Anchored by the Templeton grain mill, downtown is the heartbeat of the community and has retained much of its historical character. Adjacent to downtown is the large, tree-lined Templeton Park (home to a robust farmers market). Notable restaurants are McPhee’s (local favorite), Pier46 (seafood), Nino’s (casual) and Kitchenette (Breakfast/lunch, same owner as the incredibly successful Artisan restaurant). Wineries include staples such as Wild Horse, Castro, and Peachy Canyon plus prestigious top-scoring wineries such as Epoch Estate, Jack Creek Cellars, ONX and Turley. Primary Templeton neighborhoods on the Eastside of Hwy 101 include: Downtown, Cherry Meadows, Templeton Ranch, and several pockets of townhomes. Popular Neighborhoods on the Westside include: the Vineyards Neighborhood, Wildwood, Templeton Hills, Peterson Ranch South, the coveted Peterson Ranch Development, and exclusive Hidden Valley Ranch. Larger, 1-40 acre parcels are common and have attracted a cross-section of lifestyles to the area. Templeton boasts gorgeous, mild, smog-fee weather. The average temperature in January is 60 degrees and in July the daytime high averages 95 Degrees. Thanks to the ocean breeze, there is generally an evening cooling and encompassing fog. The rainy season typically produces 15 inches of rain and runs from mid-October to mid-April, with frost occurring occasionally. The weather makes it easy for residents to enjoy the many amenities of the community year-round. The wine industry has become a large part of the commercial profile in recent years, including grape growing, winemaking, tasting rooms and tourism. Businesses in downtown Templeton include everything from a wine bar to veterinarian and an orthopedic surgeon. Twin Cities Community Hospital is an 84-bed, general medical/surgical acute care facility, equipped with state-of-the-art technology. The hospital serves the entire northern San Luis Obispo County. It offers advanced capabilities for numerous services and specialties, including Emergency Medicine, Orthopedics, Obstetrics/Gynecology, Nuclear Medicine, Physical and Respiratory Therapy, Cardiology and Radiology. Other businesses with regional headquarters in Templeton include Cal Trans, Southern California Gas, SBC, the California Highway Patrol and the San Luis Obispo County Sheriff. In addition, Templeton has numerous churches, service and community clubs. Templeton is surrounded by rich agricultural land. The topography ranges from semi-flat to hilly with clusters of oak trees. Winegrapes are common, plus almonds, cherries, apples, hay, grains and dairy products. There are many wineries to be found on the roads winding through the neighboring hills. Templeton enjoys the largest 4-H program and top-ranked FFA program in California. Templeton is located less than 30 minutes from classic California beaches both to the west and south. Lake Nacimiento is 22 miles to the northwest and offers water skiing, fishing, and camping. In the center of Templeton there is a 3-acre, tree-covered park, where an impressive farmer’s market is held every Saturday. Bethel Park contains a soccer field and Tiny Tot area. Ever’s Sports Park offers several acres of soccer and baseball fields. The Templeton Community Services District offers a skate park, soccer, softball, basketball, and other recreational programs and activities. Templeton is home to Templeton Farms, a world-class equestrian facility with numerous trainers, including an Olympian. The Templeton community is served by the Templeton Unified School District. The District consists of four main campuses, plus four alternative education programs. ■Templeton Elementary School serves approximately 420 students in Kindergarten through Second Grade. Templeton Elementary is located at 215 8th Street. ■Vineyard Elementary serves grades Third through Fifth, with an average enrollment of 450 students, and is located at 2121 Vineyard Drive. ■Middle school students (grades Sixth through Eighth) are educated at Templeton Middle School, 925 Old County Road, with an average student body of 525. ■High school students attend Templeton High School, 1200 Main Street, with a student body of 800. ■Alternative Education Programs include Eagle Canyon Continuation High School, Templeton Adult School, Templeton Independent Study Program, and Home School, an independent study program for grades Kindergarten through Eighth.The District strives to ensure that all students in Templeton schools develop to their fullest potential academically, socially, emotionally, and physically. They are committed to providing all of the students with a high quality, rigorous instructional program that includes a comprehensive curriculum within a safe and caring environment. They offer a variety of programs including art, music, cooking, agriculture, foreign languages and more. Templeton Elementary, Middle and High schools are Gold Ribbon schools and the highest performing in the county. Templeton is a family-friendly community with impressive real estate options, impeccable weather and easy access to all the Central Coast has to offer. If you are ready to join the community of Templeton, please get in touch. I would love to find you a property that fits your lifestyle. 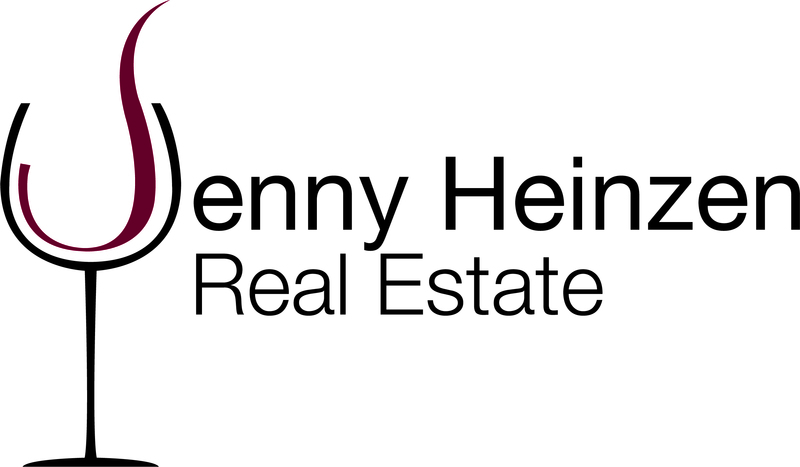 Jenny Heinzen Real Estate, a division of Vineyard Professional Services, Inc.